Totara Learning Solutions has added IntelliBoard to its list of Product Extensions for reporting & analytics. Totara clients can now access IntelliBoard tools. MONROE, CT, UNITED STATES, March 5, 2019 /EINPresswire.com/ -- Totara Learning Solutions, a worldwide leading provider of LMS services within the corporate and training sector has just announced its new Product Extension with IntelliBoard reporting and analytics. Totara provides LMS workplace learning solutions with powerful, flexible, and an open platform that adapts to the unique needs of corporate business. 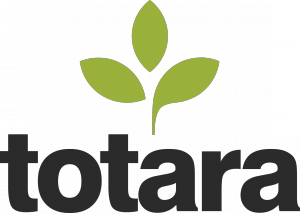 Totara specializes in learning management (LMS), performance management, and employee engagement. Through the use of IntelliBoard reporting and analytics, Totara clients can now access a rich suite of reporting tools to augment their eLearning delivery. With more than 130 reports and graphical monitors, users can pull waves of data from their site to inform on every facet of their LMS: learner engagement, expired certificate reporting, and completion status; the ability to create configured performance dashboards for various supervisory levels/respective subordinates; the ability to have real-time insight to inform educational business decisions. Anatoliy Kochnev, IntelliBoard's CEO, expressed his enthusiasm of the new partnership: "Totara is widely recognized as a leading provider of corporate LMS environments. Their ability to be flexible and adapt provides an avenue for corporate eLearning not easily provided from other LMS'. Totara clients now have access to an incredible tool to provide comprehensive eLearning - backed by their own real-time data." Knowing what's happening within the LMS helps to make directional changes that align with corporate goals - faster, and more efficiently. Trends in non-performers? Make a correction. Trends in high-achievers? Replicate it. Consistent research indicates strong correlations with engaged learners and performance. Understanding the extent of learner engagement (or lack thereof) targets areas of corporate improvement. The online learning environment requires an engaged learner to be successful. IntelliBoard provides multiple reports, analytics and notifications that keep your learners focused, and provide data that can impact your learning methodologies. IntelliBoard provides an organization’s learners with a personal dashboard of their grades and activity directly within the LMS. Learner assessment is a critical function for any learning organization. Whether assessments are tied to objectives, certification, etc, they need to demonstrate learner mastery. IntelliBoard has tools to identify rigor, trends, and statistical data to inform the assessment process. With over 130+ reports and analytics, IntelliBoard gives clients the power to track and analyze learners, courses, and IMPACT. Point, click, go. Get the info needed with a click: laser fast, lightning speed. Our open and flexible platform enables you to embrace change and create engaging learning experiences. Deliver seamless on-brand learning environments, improve teamwork, manage regulatory compliance and harness social learning.